You are here:Home » Author: "Jessica"
Since Israel is located in the Northern Hemisphere, it experiences winter from December until March. Winter is a beautiful season in the Holy Land, especially because of its flowers. Below is a list of the top 10 hikes throughout the Holy Land that highlight the beautiful winter flowers. Every weekend (Friday and Saturday) in February, you have the opportunity to attend this festival where you will see the desert blooming. Not only will you see green in the desert, you will see beautiful red anemones. At this festival there will be free tours, information stations, and a walk through the anemones. Lupine Hill is located near the city of Beit Shemesh, and is where the biblical story of the battle between David and Goliath took place. Based on its name, this hill is covered with purple lupines. Click HERE for directions and additional details! Sataf has impressive agricultural remains from the Copper Age and Byzantine Period. It also was a Palestinian/Arab village that was depopulated in the war of 1948. This land is now has a marked trail with reconstruction of the ancient terraces with olives, grapevines and fruit trees. Towards the end of winter, flowers bloom from the fruit trees. North of Tel Aviv, in an area called Gililot, there is a beautiful valley filled with….take a guess…narcissuses! Daffodils also make an appearance in this valley. In Hebrew, this route is called “Derech Nof Carmel,” and can be hiked, biked, or driven. This route will take you through valleys, orchards, and pine trees and is around 15.5 miles (25 kilometers). Click HERE for directions and more information! In addition to historical sites and viewpoints, while hiking the trails on Mount Gilboa, you will notice the ground covered in wild flowers, including the purple Gilboa iris. These forests are located near the Dead Sea, and are situated between Hebron and Be’er Sheva. They were strategically placed close to the political border of Israel and Palestinian territories. In these forests you can see special eucalyptus trees, such as Coral Gum, which has big red flowers. Additionally, at certain viewpoints, you can see the beautiful hills of Hebron. Cyclamen, “rakefet” in Hebrew are one of the popular winter flowers in Israel. The variety of color can be located in multiple areas in Israel including: Tal Shahar, Gilad, Alonei Yitzhak, and Karmei Yosef. Click HERE to read a recent article about these areas! Throughout this park’s trails, there are open meadows filled with beautiful wildflowers. In this region you will notice that from all the terraces, this land is perfect for agricultural cultivation. It is important to note that this park is now located where the Palestinian villages of both ‘Ajjur and Kudna once were located. 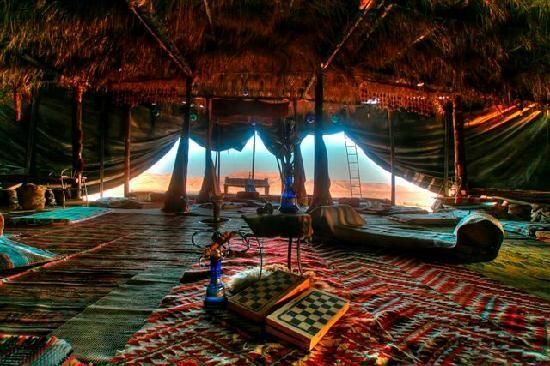 This trail is located in the desert between Jericho and Jerusalem. It has breathtaking views of the open hills. Click HERE for more information (and about other great hikes in the West Bank)! Know of other great places to hike in the region during the winter? Let us know in the comments below! Happy hiking! This small Holy Land is filled with cultural events! In one week I attended a film festival in Ramallah and a jazz music festival in Jersualem; and next week there is a film festival in Jerusalem. No matter when you come to tour the Holy Land, there will be numerous cultural events simultanously happening. “Ramallah Animated,” the film festival I recently attended, had five days of screenings of Animation films from Palestine, Arab and International films. The film I saw, for 15 NIS (less than $5), was called “The Wanted 18” and was award winning for the best Arabic documentary in AbuDhabi International Film Festival 2014. This film was a creative way for me to learn about a specific story that took place during the first Intifada (Palestinian uprising). But who knows anything about cows? These newly min ted farmers have to learn the most basic skills—even how to milk their charges, which isn’t as easy as it looks. 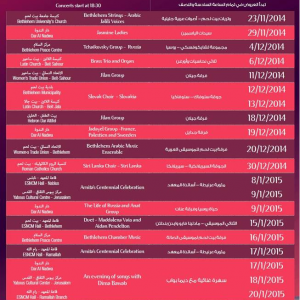 To find out about these culture events prior to your journey to the Holy Land, simply ask locals! This can be done in different online forums. 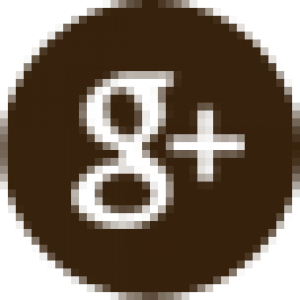 To learn more about these forums, check out THIS previous post. One of the most remarkable landmarks in Jerusalem is the Western Wall, also known as the Wailing Wall, and in Hebrew, Ha Kotel. This structure is one of the remaining outer walls from the First and Second Temples. This wall is significant compared to the other walls because it is closest to the room where the 10 Commandments were kept. This room is often referred to as “Holy of Holies.” Regardless of your religious background, this spiritual experience of the Western Wall, is one you will remember. Visitors and locals alike approach the wall in prayer where they can stuff notes into the cracks of the walls in hopes that their prayers will be answered. Once you are near the Wall you will notice that there are dividers to separate males and females. Not only can the wall’s beauty be seen above ground, but also below ground where there is a tunnel you can explore the ancient remains. The infamous Western wall actually continues underground where you will be able to see even more of the grandiose wall. In this tunnel, you will get a picture of how long and tall the Western Wall originally was. For example, the portion of the Western Wall above ground is about 200 ft long. When you go through the tunnel, you are able to see the additional 1,591 ft of the wall. It is politically significant to mention the location of this tunnel because it is built underneath the Muslim Quarter of the Old City. This caused discomfort to the residents during the construction and after its completion, not only because of the noise, but also because of the religious affiliations. In addition, the residents residing over the tunnel allegedly did not have a choice in the matter, as this project politically trumped their voices. To expand on the tensions relating to the Western Wall and its tunnel, there are more political disputes amongst Jews. 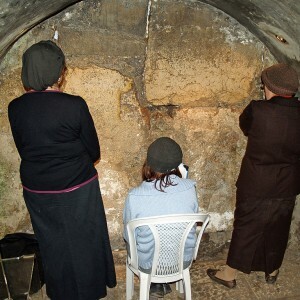 A popular dispute is a collective called “Women of the Wall” who strive to achieve the right, as women, to wear prayer shawls, pray and read from the Torah collectively and out loud. The Western Wall is currently controlled by an orthodox sect of Judaism that believes it is forbidden for women to partake in the above actions. 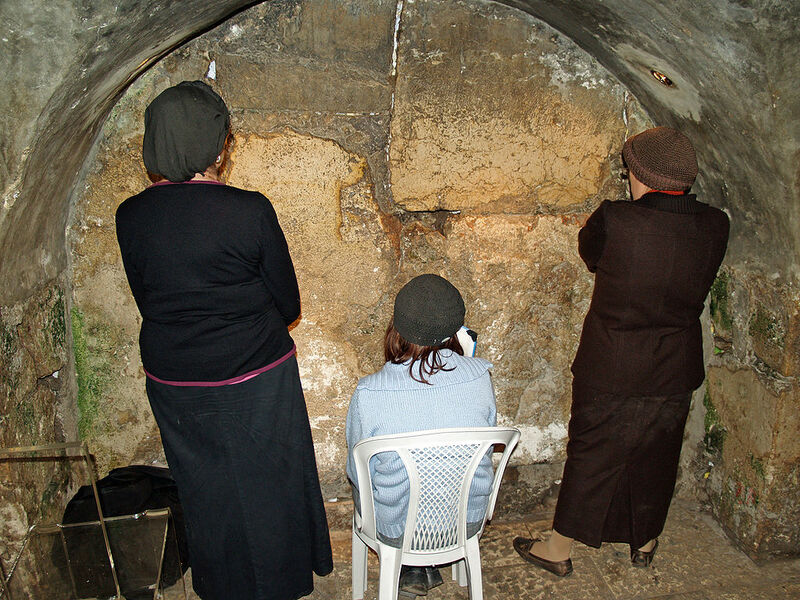 While you are on a Holy Land tour, you will experience something unique. The Western Wall is an example of one of the countless sites where you can feel full of spiritual energy, and be shocked to learn that the same site provokes tension between people of the same and different faith. 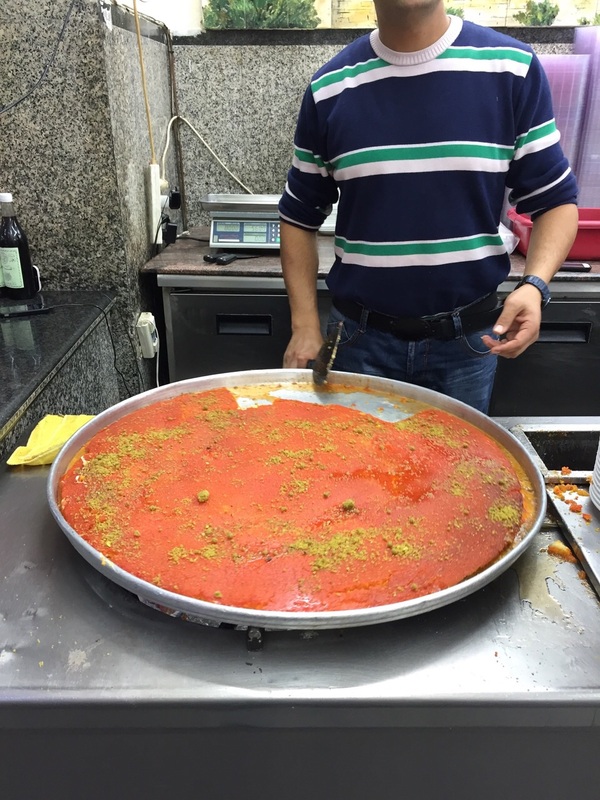 While you are on a Holy Land tour, you will have the opportunity to taste, and possibly make, the delicious Arab dessert called Kanafeh. This dessert is easily recognizable from its neon orange appearance. Kanafeh essentially is cheese soaked in a sugary, sweet syrup. The base is shredded noodles, usually kadaif noodles. Then the cheese is made by combining milk, cream, sugar and cornstarch. It is poured over the noodles, then drenched with syrup. The syrup is made from a combination of lemon juice, sugar, and orange flower water. After the Knafeh bakes in an open fire, it is flipped, drenched in more syrup, and often sprinkled with crushed pistachios. Prior to my first time eating Kanafeh, I was a bit hesitant to try it. Although I grew up eating foods with artificial colors, the neon orange top of Kanafeh had taken me aback. My friend encouraged me to taste it, and I’m happy she did. After I had eaten my slice, I went after her leftovers! Note: After some research, the bright orange color is most likely just from the noodles being drenched in syrup. Nothing to fear! Kanafeh is usually made during the Muslim holiday of Ramadan throughout Arab countries, but here in the Holy Land, it is a year-round dessert. It is argued that Nablus has the best Kanafeh. 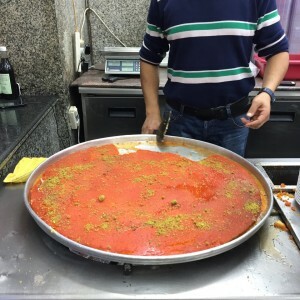 However, I recently went with a friend to Damascus Gate (the popular entrance to the Muslim Quarter of the Old City), and “Ja’Far’s Sweets” had delicious Kanafeh. However, I must mention that I do not have a matured Kanafeh taste buds…yet! This is not the kind of dessert that you quickly eat. Therefore, I recommend eating this dessert after a full-day of touring. While eating and then fighting a food coma, it is a great opportunity for you to bond with other participants in your group and reflect on the past day’s adventures. Rabin Square: This is named after Prime Minister Yitzchak Rabin, who was assassinated in this square in 1995. It is the location for numerous political rallies, parades, and other public events, including the Tel Aviv Night Run! IMPORTANT NOTE: No, Rabin did not ironically get assassinated at a Square named for him. Prior to his assassination, it was known as the Kings of Israel Square. Ibn Gabirol Street: This is a popular street filled with shops, cafes, and restaurants. It is named after a medieval Hebrew poet and Jewish philosopher. His writings are included in versions of today’s Jewish prayer book. Rothschild Boulevard: This street is easily identifiable because of the wide, tree-lined pedestrian and bike lanes placed in the center of the road. Independence Hall (where Israel’s Declaration of Independence was signed) is located here. The Orchestra Plaza: This plaza is where several cultural institutions are located including a theatre and pavilion for contemporary art. The idea to have this central location for culture was proposed in the 1920s and was complete in 1945. This is also known as Habima Square. Dizengoff: This street is named after the first mayor of Tel Aviv, Meir Dizengoff. Located on this street is the popular Dizengoff Center mall. Hayarkon Park: This urban park is the central place for outdoor concerts and includes spacious lawns, sports facilities, gardens, and a water park! It has been recorded that annually, this park has on average 16 million visitors. Information about registration for the Night Run Tel Aviv can be found HERE. Additionally, there are runners who want to participate in a running event that is not commercialized. Therefore, on Thursday, Oct. 30, there will be an open night run event. Below is the background for why this event is happening and more information can be found HERE. You might be wondering what Sukkot is and how can it possibly make sense to say “Celebrating Sukkot in Sukkot.” This post will clear up that confusion. This holiday lasts for a week and is one of the three pilgrimage festivals. During a pilgrimage festival, biblical Israelites would make their pilgrimage with their fresh crops to sacrifice at the Temple in Jerusalem. It is amazing to be on a Holy Land tour during Sukkot. 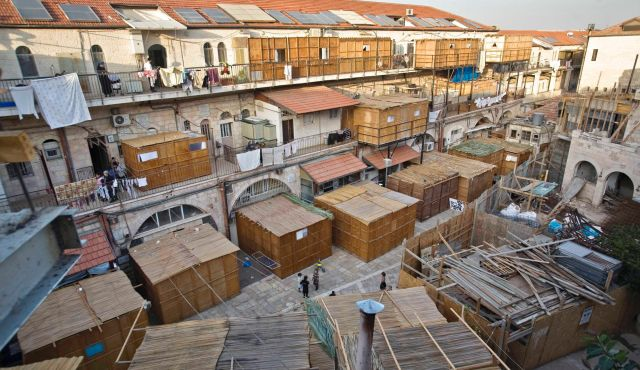 Specifically in Jerusalem you will see sukkot wherever you go. Some are on balconies and others are on the sidewalk. Most restaurants build sukkot for their customers to eat in. It is a social holiday where neighbors and even strangers interact with each other. 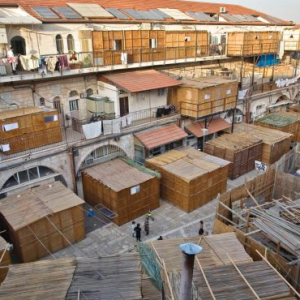 There are many Jewish Laws regarding the structure of a sukkah. A fun, interactive way to learn about these laws is at the life-size sukkah exhibit Neot Kedumim park. This exhibit is great for adults and children and is located halfway between Jerusalem and Tel Aviv. Throughout the Neot Kedumim park there are dozens of examples of correct and incorrect sukkot accompanied with a sign containing the Jewish Law. 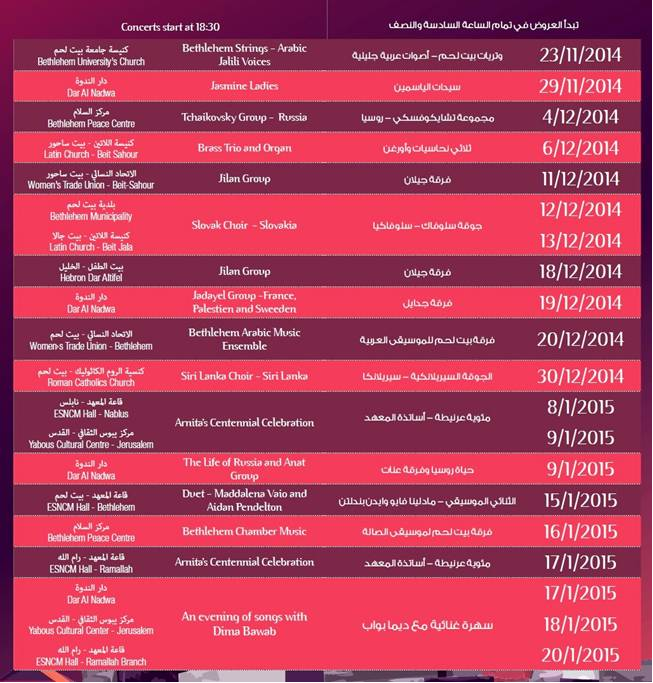 Additionally, there are many events and festivals happening throughout the Holy Land during Sukkot. Click HERE to see a compiled list. 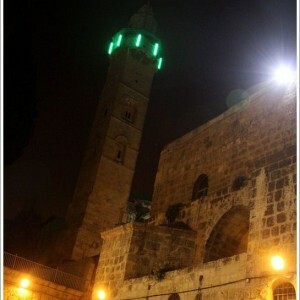 This Friday evening, both Jews and Muslims will be welcoming important holidays. Jews will begin Yom Kippur, and Muslims will start Eid al-Adha. Eid al-Adha is translated to “Feast of the Sacrifice” and directly correlates to the biblical story of Abraham sacrificing a nearby sheep, instead of his son, Ishmael. This is a major holiday and Muslim families celebrate that they do not need to sacrifice their first born son in order to show their devotion to God. It is traditional to sacrifice a sheep, goat, or a camel and then share it amongst family, friends, and people who are poor. This holiday lasts at least 3 days, although certain cultures have the holiday last longer. Similar to other holidays in Islam, Muslims celebrate by eating a big meal with their family and then everyone goes from house-to-house drinking coffee and eating sweets–like cookies with dates and nuts. However, before the feast, Muslims go to pray at a Mosque, wearing their best clothes. Therefore, if you are in the Holy Land and are looking somewhere to go to celebrate Eid al-Adha, look for a nearby Mosque. 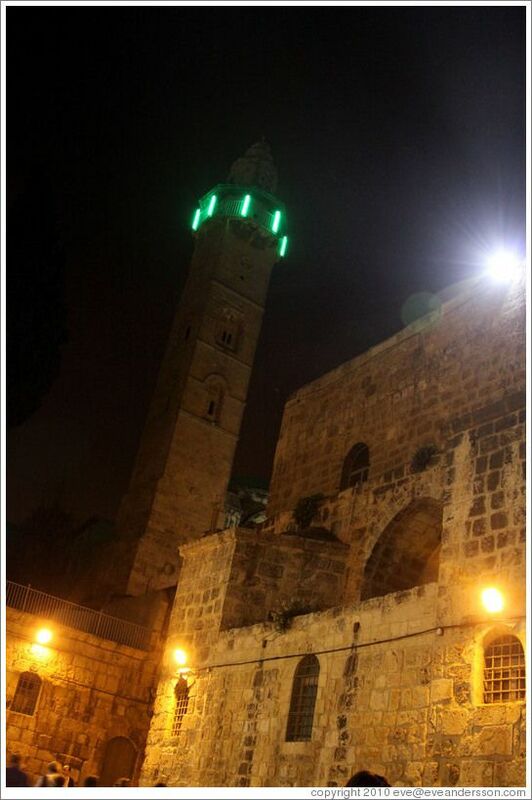 Once the sun sets it is easy to spot Mosques because of the green light near the top of it. Additionally, if you will be in Jerusalem not celebrating either the Eid or Yom Kippur, there will be a group of like-minded people hanging out. Click HERE to find out details of the event. I found out about this get-together from the Facebook group Secret Al Quds- East Jerusalem. 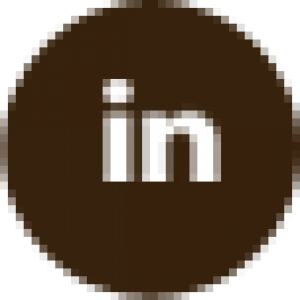 To learn more about these usual Facebook groups, check out THIS previous blog post. For all who are celebrating Yom Kippur–gamer chatima tova, May you be inscribed in the Book of Life; and for all who are celebrating Eid al-Adha–Eid Mubarak, Happy holidays!